Lightly distressed, resulting in a more casual styling. 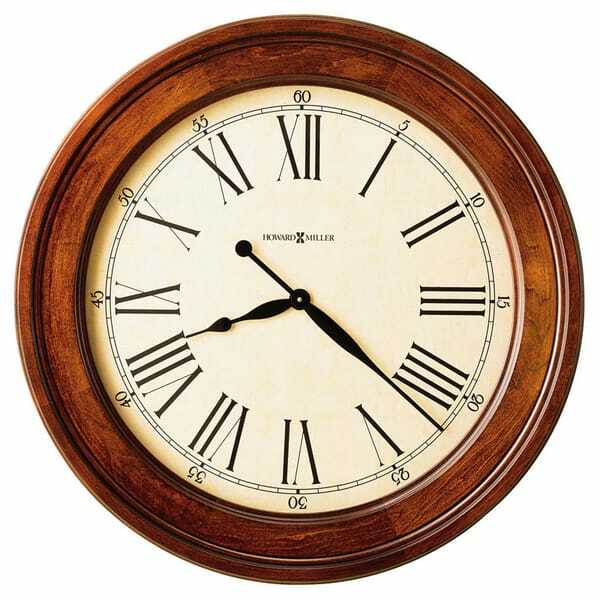 Aged, antique dial is easy to read from a distance and features black Roman numerals, seconds track and hands. Quartz, battery operated movement. Finished in Americana Cherry on select hardwoods and veneers.